Sports Direct notes the announcement made by Debenhams plc (“Debenhams”) on 26 March 2019 in response to Sports Direct’s announcement on 25 March 2019 under Rule 2.4 of the Code and, in particular, that any firm proposal regarding an offer for Debenhams will be given due consideration by Debenhams board. Sports Direct wishes to confirm that it is considering making a firm offer for the entire issued and to be issued share capital of Debenhams not already held by Sports Direct and that it has put the following proposal to the board of Debenhams as to its terms. The terms of the possible firm offer are that Sports Direct would offer 5p in cash per ordinary share for the entire issued and to be issued share capital of Debenhams which would value the total currently issued share capital of Debenhams (excluding treasury shares) at approximately £61.4 million (the “Possible Offer”). The Possible Offer, if made, would represent a premium of approximately 127 per cent. to the closing price of Debenhams shares on 26 March 2019. In connection with the Possible Offer, Sports Direct would also assist Debenhams in addressing its immediate funding requirements (subject to the pre-conditions set out below). 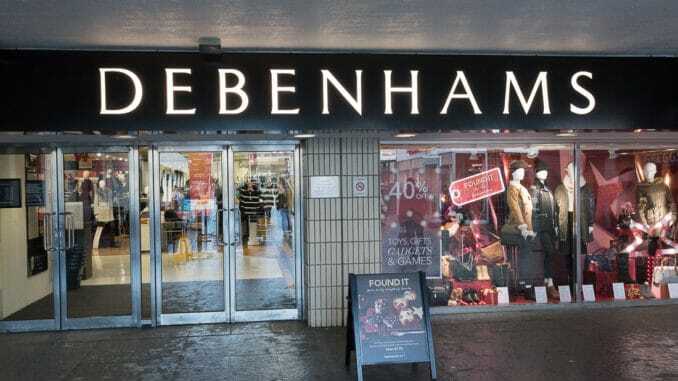 The Possible Offer is pre-conditional upon Debenhams immediately appointing Mr Mike Ashley as its CEO and terminating the noteholder consent solicitation process it announced on 22 March 2019. In addition, the Possible Offer is pre-conditional upon the Debenhams group agreeing not to enter into any third party funding arrangements (including those outlined in Debenhams statement of 22 March 2019), granting any new security over any of its assets or entering into any administration, CVA or other insolvency process. Each of these pre-conditions must be satisfied or waived before any firm offer can be made. Sports Direct believes that the Possible Offer would offer fair and full value for Debenhams. It does not believe that Debenhams has the same value if it is (in effect) handed over to Debenhams’ existing lender group. As such, Sports Direct would expect the Possible Offer to be attractive to Debenhams shareholders and other stakeholders as an alternative to Debenhams’ current restructuring and refinancing process. Sports Direct reserves the right to reduce the Possible Offer consideration by the amount of any dividend (or other distribution) which is paid or becomes payable by Debenhams to the holders of Debenhams shares.